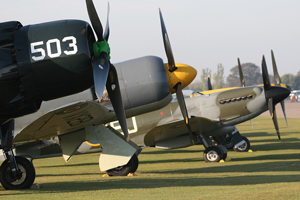 The airshow season is now over and as is the norm, Duxford hosted the final display. The Korean war started on the 25th June 1950 and lasted for 3 years. During this time UN aircrews flew operations against North Korea. The conflict resulted in a divide between the north and south of the country. 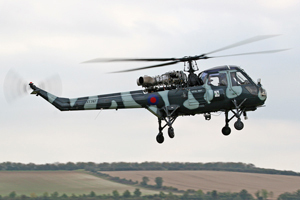 The war was unique as it pitted the new jet age technology, against piston driven aircraft. Duxfords organizers had brought together a nice collection of aircraft that would have served in Korea during the conflict. 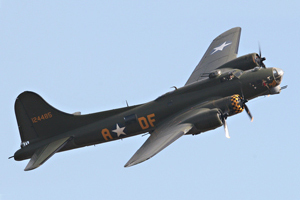 With the light not looking to favorable, B-17 Flying Fortress ‘Sally B’ opened the show. Since her UK debut at Biggin Hill in 1975, she has been an important part of the airshow scene, serving as a memorial to the 79,000 allied aircrews that were lost during WW2. It was nice to see a few more topsides than normal, (That could be down to the fact I saw the show from the M11 end this year). As is customary , the final pass was dedicated to all those members who help to keep Sally B flying with an engine trailing smoke. Another fine display!! With the B-17 safely down, TFC ‘s TF-51 ‘Miss Velma took centre stage. 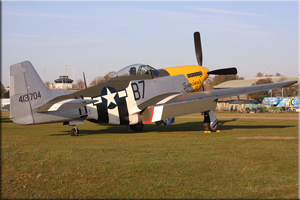 The ‘Boss’ of the Fighter collection, Stephen Grey put the Mustang through some lovely fast passes and high loops. Miss Velma is believed to have actually served in the Korean war as a reconnaissance aircraft. 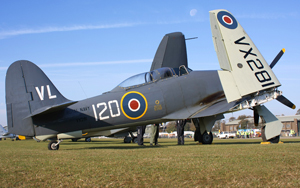 With the Fighter Collections Sea Fury unserviceable, Spitfire FR14 (G-SPIT) was a welcomed alternative. As Pete Kynsey brought her in across the airfield, the Rolls Royce Griffon engine made the hairs on my neck stand on end. After a series of loops and passes the Jonnie Johnson marked Spit made way for a pair of Radials. The Harvard was used extensively during WW2 as a trainer for many allied pilots, but less known, was the fact that it was also used in the Korean war as a forward air controller, plotting out targets. The pair are owned by TFC and ARC. The 600bhp radial engine surely makes a lot of noise, but its distinct sound comes from its propeller. The pair entered from crowd left in a nice formation pass. They then split with ARC’s flying high manouvres while TFC’s did a series of low level passes. 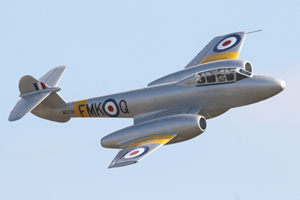 Meteor WA591 made here public airshow debut at this years Autumn show. Resplendent in its silver livery, Dan Griffiths came in from the left pulling into a high loop. The Meteor looked very graceful as she swooped across the Duxford skies. When compared to today’s hardware, it sounds very quiet. Finishing it’s display, she then landed back on Duxfords hard runway. Another classic British aircraft had something to celebrate this year too. The DH.82 Tiger Moth is 80 years old this year. Duxford had decided to commemorate this by inviting the Tiger nine display team. 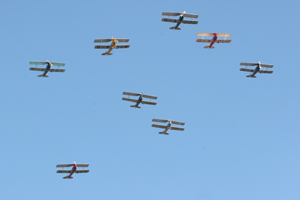 Consisting of 9 Tiger Moths, the team are reminiscent of the diamond nine team from earlier years. 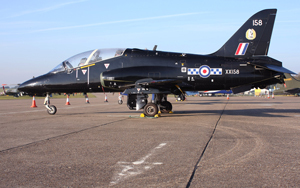 Unfortunately the team could only muster 8 aircraft for the day, but were still a welcomed sight. I did think that some of the formation flying was a bit loose, but it can’t be easy with a missing aircraft at short notice, to fill that gap. I love the sound of the gypsy major engine and it was great to see these iconic aircraft in what I would describe as a ‘tail chase’ Brilliant!! 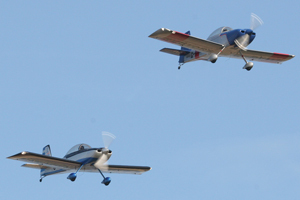 On the landing of the Moths, the RV8tors flew a nice aerobatic display. 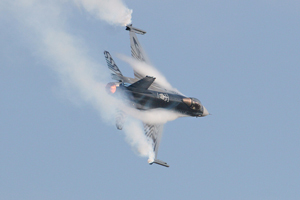 The Belgian Air Components F-16 Fighting Falcon has been a long standing act at Duxfords Autumn Airshow. Cdt Mitch Beulen has flown the Belgian F-16 for 3 years now and Duxford was to be his final display as his stint as display pilot was coming to an end. I have seen his displays many times before, but this was his finest. It was nice to see the F-16 firing off flares during the display. With a mix of high energy and slow passes, his display was stunning. On his final pass he flew past at the fastest speed ive ever seen an F16 pass at. Great job Mitch and thank you for a great 3 years of displays! The next section of the display was to include a few different types used for observation rolls during several different wars. 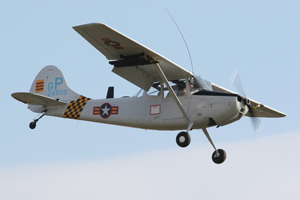 First up was the Cessna L-19 Birddog, which was used in both Korea and Vietnam. This I felt was a great display, and it was nice to see a lesser known type at Duxford. 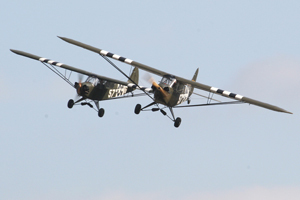 Continuing the observation theme were a pair were a pair of Piper L-4 Grasshoppers. 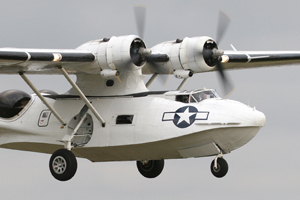 These aircraft were used extensively by the Americans in both the 2nd World War and Korea. 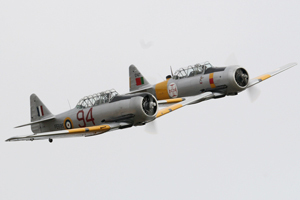 Following a great short takeoff the pair swooped around the sky in close formation. 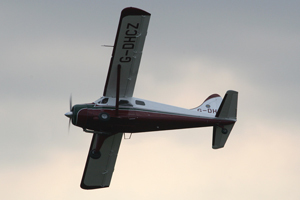 There were also displays form the British equivalent Auster J-1 Auotcrat, owned by D and M Miller, and another public debut by ARC’s De Havilland Beaver. 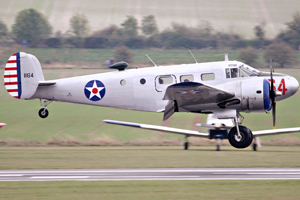 Built in 1960 and used by the Army Air Corp ARC’s Beaver has undergone a remarkable restoration. The aircraft is immaculate and wears a smart red and white livery. 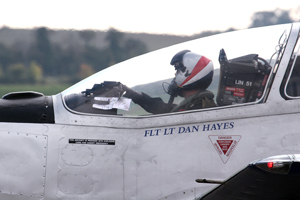 Flt Lt Dan Hayes put the RAF’s only act through it’s paces with a polished display. The Hawk was due to also display but was cancelled for reasons im unsure of. There was however one in the static lineup. Duxford airshows have a habit of springing unique formations, and the Autumn show didn’t disappoint. 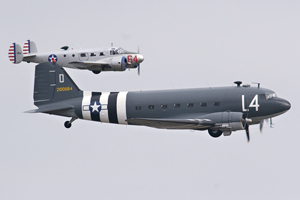 It was wonderful to see ARC’s Beech 18, flying in tight formation with Aces High’s C47 Dakota. The pair did a few passes before splitting for their solo displays. The C-47 then departed back to dunsfold, whist the Beech landed back at Duxford. The Royal Navy Black Cats signaled the start of a Naval theme, performing their mix of tight formation flying and the popular opposition passes. 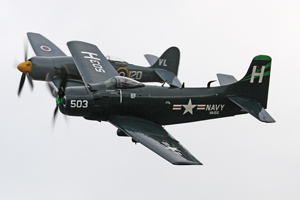 The 2 huge booming radials of Kennet aviations Skyraider and RNHF’s Sea fury also performed some nice tight formation passes before splitting for solos. 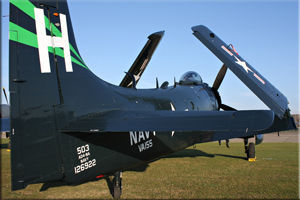 I think display of the day should have gone to the Skyraider. I really enjoyed seeing it brought in nice and low for some fast passes, and also giving the crowd some great topsides. The Seafury’s display in contrast seemed very lackluster, a little disappointing. To finish of the Naval theme, the huge, cumbersome Catalina lumbered around the grey Duxford skies, still impressive though. The closing display could only really be left to one aircraft. 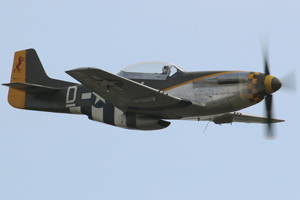 Used by the Americans in Korea, the F-86 brought Duxford’s 2011 season to a close. A mixture of fast passes and nice wingovers really showed the classic lines of the Sabre. 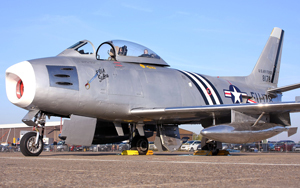 This particular Sabre is believed to be the oldest airworthy Jet in the world and serves as a reminder of the Airmen who flew in the Korean war. The kill ratio of Sabre’s v Mig’s was around 1:10 in favour of the Sabre. A truly great aircraft. A big well done goes to Duxford’s whole team for a very enjoyable day. There was a great mix of aircraft, different to other shows we’ve seen. I can’t wait for the 2012 season…….